Shakeel Khan, MD, FACC, is an adept and attentive cardiologist. He’s a proud member of the team of renowned physicians at Phoenix Heart, which has five locations across the greater Phoenix area – Glendale, Goodyear, Anthem, Buckeye, and Black Canyon City, Arizona. Dr. Khan was educated in India, where he graduated from the National Degree College in Bangalore and earned his medical degree from the Al-Ameen Medical School in Dharwad, Karnataka, India. He completed an internship at St. John’s Medical College Hospital in Bangalore before relocating to the United States, where he continued his medical training at Michigan State University. He completed an internship in internal medicine and served as the chief medical resident at the McLaren Regional Medical Center in Flint, Michigan, and completed two fellowships, one in cardiology at the University of Michigan’s East Lansing campus, and one in interventional cardiology at the university’s Borgess Medical Center in Kalamazoo. 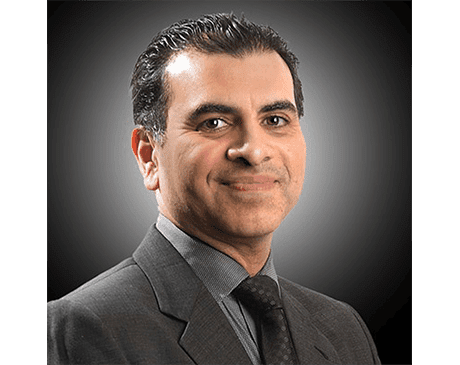 Dr. Khan is certified by the American Board of Internal Medicine in cardiovascular disease, interventional cardiology, and endovascular (peripheral) medicine. He’s also certified in adult comprehensive echocardiography by the National Board of Echocardiography, and certified by the American Board of Nuclear Cardiology. Prior to his work with Phoenix Heart, Dr. Khan served as the director of the cardiac catheterization lab at Banner Thunderbird Medical Center in Glendale, Arizona.